Led by teachers, Gail Johnston and Nicola Garrett these eco-friendly workshops are suitable for all ages and abilities. Create your own Christmas print using techniques can be easily reproduced at home. Learn monoprinting methods for creating Christmas themed gift tags, gift bags and cards. Create your own one-of-a-kind book. This workshop will teach you different techniques from pamphlet stitch for beginners to Coptic binding for the more advanced. Create your own on-of-a-kind print using techniques can be easily reproduced at home. Learn up-cycling methods for creating artworks suitable for to hang on the wall or give away as a present. Sun prints are created using special paper and sunlight. Learn methods for creating artworks to hang on the wall or give away as presents. The techniques you learn can be reproduced at home. ​Eco Art is made up of two high school art teachers, Gail Johnston and Nicola Garrett. They both strive try to live an Eco-conscious lifestyle and are passionate about up-cycling. Gail has a double degree: BA in Fine Art majoring in Printmaking and BA in Education is from Griffith University (QCA) and Nikki is working towards completing her Masters in Photography from QCA. Nikki and Gail have both blue cards and teacher registration. The safety talk is given at the beginning of each workshop. You are advised to wear closed in shoes, suitable clothing that you do not mind getting ink on. Follow all instructions given by your tutor during your workshop. 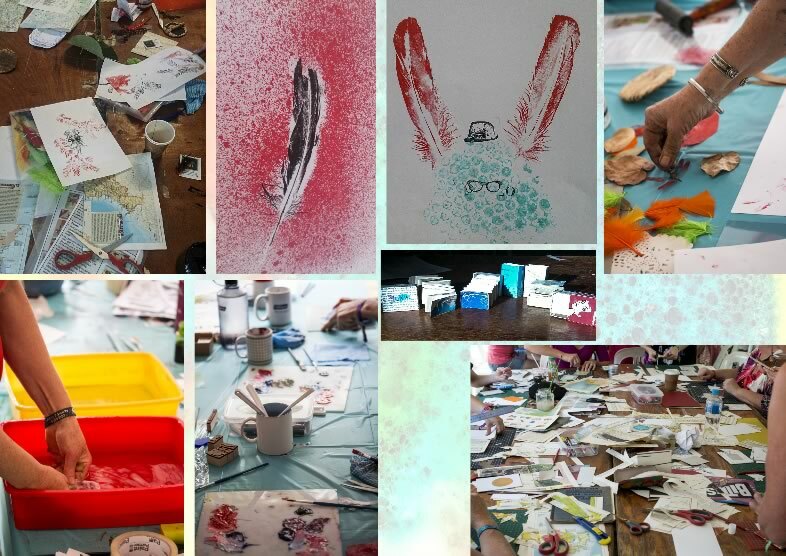 ​ To book a place in a workshop, go to the Booking Form Page and follow the prompts to enter in your details, membership status and the workshop you would like to book into. IMPRESS STUDIO & GALLERY is located at Kedron subARTStation No 8, 134 Kedron Park Road, Wooloowin 4130. Access to the building is via the car park of the Kedron Park Hotel on Lutwyche Road. See more for map and directions.